Published on 6 May 2008. 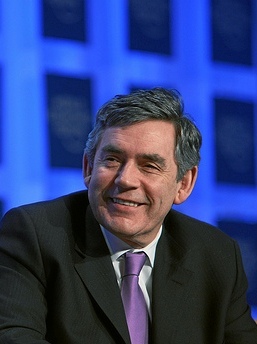 Gordon Brown’s disastrous round of interviews on Sunday morning merely added fuel to a fire which had already reached an unprecedented temperature at the heart of government. Each and every interview was a complete and utter shambles. Gordon should not have done them. They were a mistake, and they highlight the underlying problem of Brown’s occupation of Number 10 – bad advice. Either Gordon or his team have failed to realise that Mr Brown is a completely different creature to his predecessor. They need to understand that to succeed as Prime Minister, Mr Brown urgently needs to stop attempting to use Blairite media tactics to tackle Brownite problems. Gordon is, without doubt, a poor communicator – the public speaking antithesis of Tony. He does not come across with clear, crisp soundbites. He does not portray empathy. He emanates boredom, surliness, and arrogance. A round of mea culpa interviews in the face of electoral defeat was not the right call. Agreeing to appear on every political programme going made him look desperate. He should have agreed to a single, exclusive interview, probably with Andrew Marr (his is the show which gets both the most viewers and the most dissemination through other media outlets, and that which has the host most sympathetic to Mr Brown). He should have done the interview on his turf – get Marr to come to Downing Street, and conduct the interview surrounded by the trappings of power, helping to reaffirm Mr Brown’s position as the Prime Minister: He may have had an electoral battering, but he’s still in charge, still working hard for the people, and – ultimately – still in Downing Street. The pilgrimage to the BBC studios made him look unnecessarily weak, and levelled him with his opponents. No programme in its right mind would have denied this relatively straight-forward rider when trying to negotiate potentially the most politically significant TV interview of the year. Everyone wanted him, and the programmes could – if necessary – have been played off each other. The neutral surroundings would also have helped to get other broadcasters to play the exclusive interview, as it wouldn’t be so clearly exclusive. Or, alternatively, the interview could have been pooled as a further rider. Yet the surroundings would have only improved a bad situation – Mr Brown’s alienating nature is a bigger problem. He needs to be coached in how to talk to the electorate. I’m sure this is something his team is working to tackle, but drastic solutions are urgently needed. Firstly, he needs to be banned from using the phrase ‘global economy’. He’s forever talking about it, and it is utterly meaningless to the vast majority of people. I hear nobody in the real world complaining about the state of the world economy – I see teachers striking over pay, people complaining about the rising cost of food, and increasing concern about petrol prices. To communicate effectively with the country at large, Mr Brown needs to frame discussion in these terms – something David Cameron does excellently, and to great effect. Secondly, he needs to stop talking about himself. That’s a Blairite tactic, which worked brilliantly for Tony as he had the personality to carry it off. Brown doesn’t possess the necessary connection with voters to manage this – he needs to be the professional, distant leader. He needs to let go of the details, lead with big ideas, and communicate these in a commanding way. He’s a leader who needs not sell the ideas to the people, but rather allow the people to see the benefits of the results. Fewer attempts at personality, more attempts at policy. More of the Stalin, less of the Bean. And that brings us to the other great failure of this interview: The distinct lack of policy. In his single exclusive interview, Mr Brown should have been armed with an arresting announcement – something along the lines of freezing fuel duty increases to help the poor, or even a major reshuffle of the cabinet since ‘the voters have told us things aren’t working’. Pretty much anything would have moved the news cycle forward, and taken the focus away from Mr Brown and the disastrous election. This approach would have left him open to accusations of being reactionary, which is why I’d favour the former approach rather than the latter. A reactionary reshuffle would probably play well for the Conservatives in terms of painting the Government as ‘panicked’, but a freezing – or cutting – of fuel duty would be such a populist measure that it would be difficult for the Conservatives to land a meaningful punch. With oil prices rising, revenue from fuel duty is rising unexpectedly quickly anyway, so it wouldn’t leave much of a Budgetry hole. All of these factors represent basic tactical errors, whether on the part of Mr Brown himself or his surrounding advisory team. Either way, this whole electoral defeat – and many of his other ‘crises’ alike – could have been handled much more effectively. The fact is that Mr Brown could make for an excellent Prime Minister. He’s vastly more intelligent that his predecessor, appears to desperately hunger after ‘doing the right thing’, and he’s deeply principled. All he needs to do is to learn to keep his hands off the details, make snappier decisions (accepting when he gets them wrong), and learn how to better his personal presentation. In short, he needs better advice. » Image Credit: Original photograph from the World Economic Forum, modified under licence. This 1,323rd post was filed under: News and Comment, Politics. Comment posted at 17:34 on 16th May 2008. “Junior PM” – a reality TV show with Brown as the ‘Trumped’ up ‘Sugar’ daddy. Comment posted at 10:55 on 17th May 2008. I heard about this, realised it was something Hazel Blears brought to cabinet, and immediately dismissed it. Brown might not have a great political mind, but even he wouldn’t go for this idea. Trackback received at 16:39 on 27th May 2008. Trackback received at 23:56 on 17th February 2012.